In Civil War II—an event happening this year that is not at all related to a certain movie starring Captain America coming out soon—a mysterious entity with the power to see the future (accurately, for once) will prevent a tragic disaster, splitting the heroes of the Marvel universe into two sides. Some of these choices are really weird. She-Hulk is Carol’s friend, sure, but I have absolutely no idea why, as an attorney, she’d be all about persecuting people before they’ve committed a crime. But hey, things were a bit weird the last time the words “Civil War” were bandied around at Marvel, too. 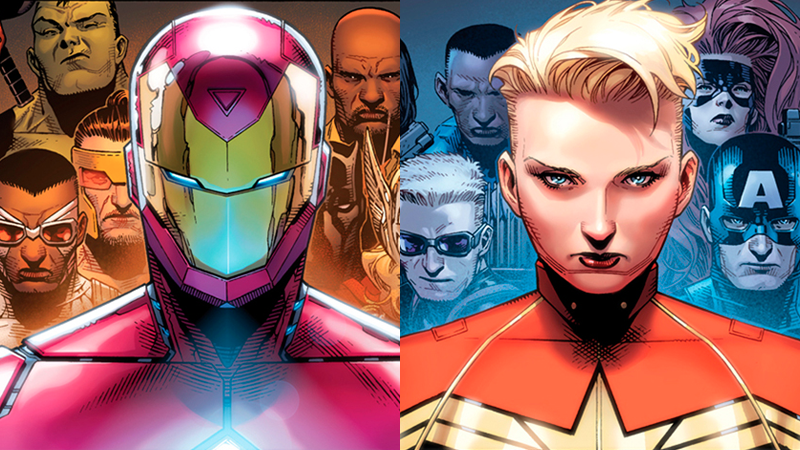 We’ll see these teams duke it out soon enough, when Civil War II: Bigger, Badder, and More Civil begins in May.